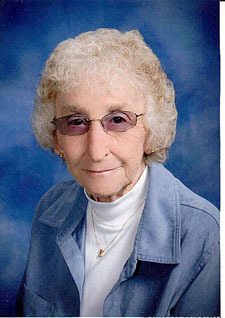 She was born on October 13, 1933 in Danville and was the daughter of the late William S. and Mary E. Lamberson Linker. She was a housewife; was a member of the Middletown Presbyterian Congregation; and she enjoyed bingo and crafts. More importantly, she loved the fellowship of her friends and family, especially her grandchildren. In addition to her parents she was also preceded in death by her husband John E. Herrold, who passed away on March 24, 2010, and her brother William Linker. She is survived by her daughter Diane T. Smith of Lebanon; three sons Ralph W. Herrold of Mechanicsburg, David J. Sr. and wife Susan Herrold of Halifax, and Scott E. and wife Pat Herrold of Hummelstown; sister Margaret J. Kressler of Bloomsburg; 11 grandchildren; and seven great-grandchildren. Memorial services will be held at noon on Wednesday, February 13, at the Frank E. Matinchek and Daughter Funeral Home and Cremation Services, Inc., 260 E. Main St., Middletown, with the Rev. Donald E. Potter, her pastor officiating. Visitation will be from 11 a.m. until time of service on Wednesday at the funeral home.